R.L. Byrd, LLC, 9780990557708, 310pp. Has your career left you unfulfilled? Does your heart long for warmth, understanding, and companionship? Maybe it's time you started LOOKING FOR SWEET sweet LOVE. 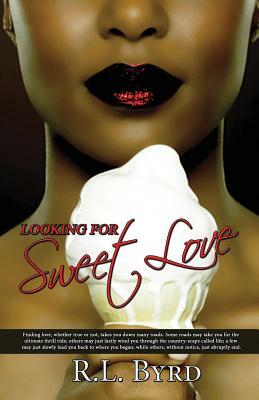 In Looking for Sweet Love, six ladies blow up the Dallas radio airwaves with their sassy discussions about life, love, and relationships; with the main character, Jessie S. Harris, leading the pack. Set around the infamous Dallas, Texas radio station K-103.5, Jessie-a successful on-the-fast-track director of marketing for Data Comm International-has agreed to spend six months of her life, along with five of her closest friends, on K-103.5's talk-show, The Love Forum. Known as the Love Forum Divas, Jessie, V, Pat, Brit, Darlene, DeDe and the Forum's ultra-divafied host, Melissa Morgan, explore and discuss their relationships (past and present) amid Dallas' scorching dating scene. And with the help of the Divas, and Love Forum, Jessie begins her quest to find true love.